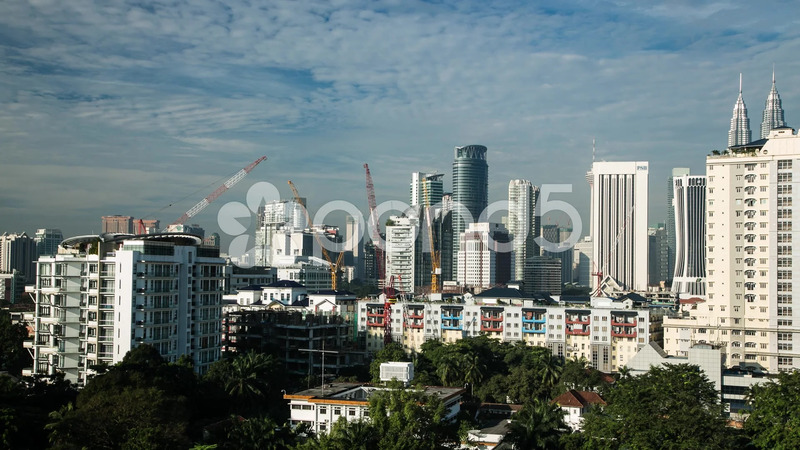 Description: A timelapse of Kuala Lumpur skyscrapers and construction cranes. The cranes can be seen moving rapidly. The top of Petronas Twin Tower can also be seen in the background. Moving clouds in the blue sky are also visible.